In the early 1950s, Frederick Varley met a woman that would be a major influence towards the end of his life. Kathleen Gormley McKay or Kathy as she was affectionately called, was looking for a tangible way to express her passion for the arts when she met Fred Varley. There are many versions to the story of their meeting, the most common of them being that she had heard of Varley’s reputation as a portrait artist and visited him to commission a portrait of her husband Donald, a retired chemist. Other tales claim that the McKay’s already owned a Varley and contacted him to purchase another painting. Regardless of the circumstances, Kathleen possessed tremendous faith in Fred. During his illness in the winter of 1952 the McKays invited Fred to stay at their house, providing him with care until he recovered. It was there that their friendship grew and Fred Varley would live with them during final decade of his life. In 1957 the family moved to Kathleen’s family home; the Salem-Eckhardt House. This Gothic revival style cottage located on Unionville’s historic Main Street was built in circa. 1835, and was the home of the first postmaster of Unionville. The McKay’s turned the basement into a studio for Fred which looks today much as it did over 40 years ago. The relationship between Fred and Kathy was good for the both: Fred Varley was given stability, a home, and a family; while Kathy was introduced to the exhilarating mysteries of modern art, an experience that pushed her to buy works of art by many famous Canadian modernists. This eclectic collection would be a reflection of the relationship between Kathleen and Fred and is one of the finest collections in Canada. After Kathleen’s death in 1996, her Will left the art collection and the residue of her Estate (valued at $1.2 million) to the Town of Markham as the McKay Endowment. An income of $300,000 was earned on the capital of the Estate between the time of Kathy’s death and the time the Estate was turned over to the Town to bring the total amount transferred to $1.5 million. In turn, the income of $300,000 was transferred to the Varley-McKay Art Foundation of Markham to be administered in accordance with the terms of the Will. 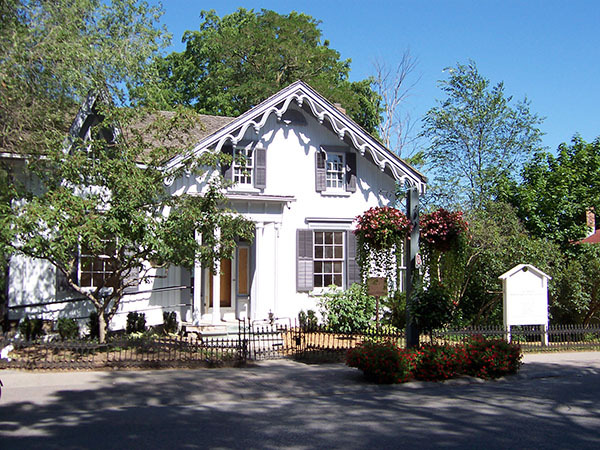 The McKay House was actually purchased from Kathleen McKay by the Town of Markham in around 1978. As the McKay House was owned by the Town of Markham, upon Kathleen McKay’s death, the large collection came by bequest to the Town of Markham. Today, the house, now named the McKay Art Centre is owned by the Town of Markham and run by the Varley Art Gallery. It is used for a variety of artistic pursuits: Varley’s studio is an art class for the Varley Gallery’s children and adult programs; the main floor is an exhibition space for local and regional artists; and the second floor is office space and home to the volunteer centre.